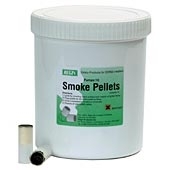 Smoke Pellets (Tub of 100). 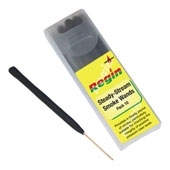 Supplied in a tough resealable waterproof container. BS5440 Part 1, compliant. Approx burn time 30 seconds. 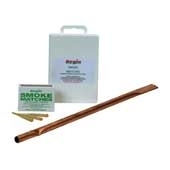 Estimated 5 cubic metres of white smoke with an ideal density for flue testing. 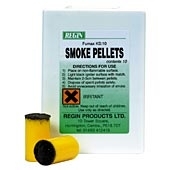 Fumax KS10 Smoke Pellets (Pack of 10). Approx 60 seconds burn time. Approx 15 cubic metres of white smoke. 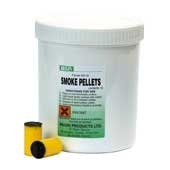 Fumax KS Single Smoke Pellets (Tub of 50). 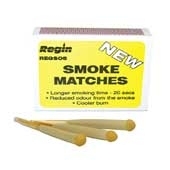 Supplied in tough resealable waterproof container. Approx 60 seconds burn time. Approx 15 cubic metres of white smoke.